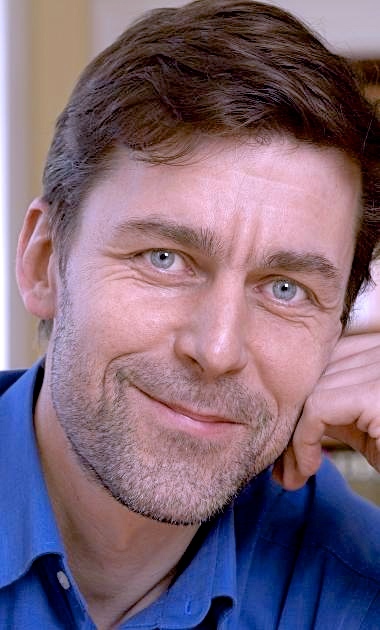 Note: Swiss author Peter Stamm was SHORTLISTED for the Man Booker International Prize in 2013, and in 2014 he was WINNER of the Friederich Holderlin Prize in Germany. “Agnes is dead. Killed by a story. All that’s left of her now is this story. It begins on that day, nine months ago, when we first met in the Chicago Public Library. It was cold when we first met. It is generally cold in this city. But it’s colder now…It’s snowing, but the snow won’t settle, it gets picked up and swirled on its way, and only settles where the wind can’t get at it.”—the narrator’s opening lines. The cold and snow swirling across Lake Superior in this opening paragraph set the scene, the tone, and the atmosphere of the conclusion of this love story, which is presented in the opening chapter and told in flashbacks from that moment on. The unnamed narrator, a student researcher writing a book about luxury trains, also writes fiction in his spare time. Having come to Chicago from Switzerland to work on an advanced degree, he soon meets Agnes, a twenty-five-year-old graduate student in physics, working on her own dissertation. 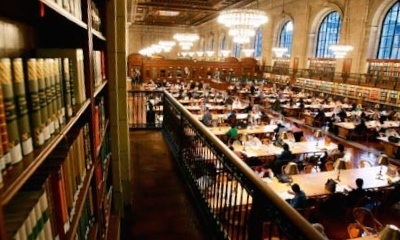 Like him, she uses the resources of the Chicago Public Library, and from the first time that she sits opposite him at the library, the narrator is drawn to her. Though Agnes is a plain woman, her eyes “had something unusual about them, an expressiveness [the narrator] hasn’t often seen.” Before long, they take cigarette breaks together and, later, go out for coffee, though Agnes admits that she is “not a very sociable person… her private life did not engage her much at the time.” Still, it is April, spring-time – a time of promise and growth, and within a couple of weeks, the narrator and the innocent Agnes are spending nights together. Between April, when the two first meet, and early January, when the cold and swirling snow of the novel’s opening paragraph symbolize the dramatic end of their relationship, the lives and love of the narrator and Agnes develop through an unusual dual narrative. The narrator shares his feelings and his observations about Agnes and their life together, while, at the same time, he is writing a novel about their relationship and, significantly, their future, something which Agnes has asked him to include. The two narratives often overlap, and the two characters sometimes decide to “live the future” as the narrator has described it in his written novel – taking camping trips and hikes which they might not otherwise have done, for example. Throughout all this, there is also a third, “hidden narrative,” the one which the reader creates from his/her own point of view in reaction to what is happening both in the general narrative and in the story the narrator is writing for Agnes. The reader, who is involved in the relationship only as a perceptive outsider, is able to observe the two characters as they interact, noticing potential problems which they do not see: Agnes’s increasing dependence on the narrator, the self-involvement of a narrator who says he feels “a dismaying sensation of not being complete” when Agnes is not there; and the narrator’s eerie sense of excitement as he writes about events he sees in their future. Main reading room of the Chicago Public Library, where the narrator met Agnes. With unusually short chapters, the novel moves along quickly and efficiently, without romantic digressions and descriptions. Stamm’s clean and exacting style creates an almost journalistic feeling, subtly encouraging the reader to believe in the reality of the story the narrator tells and in his honesty about his relationship. At about the halfway point, however, the narrator begins to record more imaginative, dream-like scenes in the fictional story he is writing, while also incorporating Agnes’s dramatic, imagined reactions to these scenes. The narrator begins re-thinking his relationship with Agnes as a result of this fantasizing, and when Halloween rolls around, he is relieved to receive an invitation to attend a Halloween party given by Amtrak, the railroad company – a party he can choose to attend, claiming its relevance to his thesis work, instead of the one Agnes has been planning to attend with him. Further complications in their real lives result from the narrator’s decision to attend the Amtrak party alone and from other outside forces, both real and imagined. 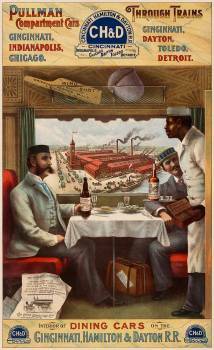 A Pullman car, a dining room on wheels, designed by George Pullman, part of the thesis being written by the narrator. Double click to enlarge. 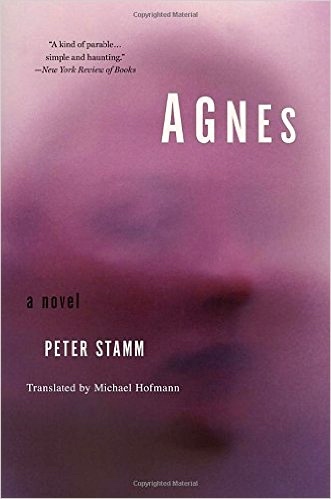 Considering how intimate the novel often feels, it is surprising how little the reader really knows about Agnes and the narrator – in his case, not even his name. No information is provided on why he decided to write about luxury trains or why he came to Chicago, and little is known about his life before Agnes. For the first half of the book, in fact, the reader knows the narrator speaks German, but the information that he is actually Swiss comes late. No real information about his family, his upbringing, or his personal history are here to affect the development of the plot. Agnes has a bit more history, including a past lover with whom she is still in contact, but she is not interested in sharing her past. She does, in fact, specifically ask the narrator, “Do you have to write about my childhood? It’s only a story after all. Can’t I just turn up in the library one day, and just be me? The way I am?” Additional information about the characters might have created a greater feeling of connection between characters and reader, but it would also have made the novel more sentimental and personal, and this novel, by its nature, depends on a sense of distance from the characters if the conclusion is to have an impact. As the novel moves from April and spring to the cold and snow of a January winter, the imagery parallels the theme of love and hope as it dissolves into alienation and death. The opening epigraph from John Keats’s “Eve of St. Agnes,” and the novel’s opening lines about “Agnes is dead” clearly establish theme and mood. A mere ten pages later, as the narrator is heading to a restaurant where he will meet Agnes for dinner for the first time, he finds a young woman lying dead on the sidewalk outside, not a good omen for someone about to meet a new lover. When Agnes greets him later, she is understandably unnerved by this death, and she talks of her own fear of death. The narrator remains calm, responding, casually, that “there are other things that I’m more interested in.” Soon afterward, they are making love in his apartment. As much as change and decay pervade the action here, it is the related question of how we perceive reality and the role of fiction as part of that reality which make the conclusion such a shock. It is one thing for the observant reader to become so involved in the story that s/he is horrified by the ending, and quite another for an author to write fiction with the idea of encouraging a particular outcome in real life. Stamm has created a tour de force which few readers will forget – a remarkable debut novel, originally written in 1998 and newly reprinted by Other Press. A Pullman Dining Car, designed and built by George Pullman, one of the subjects of the narrator’s thesis. http://www.wikiwand.com/de/Pullmanwagen Double-click to enlarge. 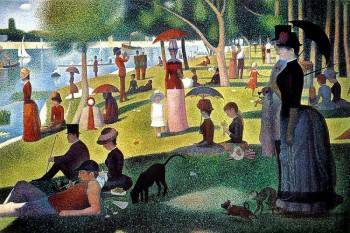 George Seurat’s “Sunday Afternoon on the Ile de la Grande Jatte” plays with reality, creating colored images from tiny dots of pure color and not from mixed colors. The eye mixes these colors when the painting is viewed from a distance. https://frenchquest.com/ Double click to enlarge. REVIEW. Book Club Suggestions, Literary, Psychological Study, Switzerland.